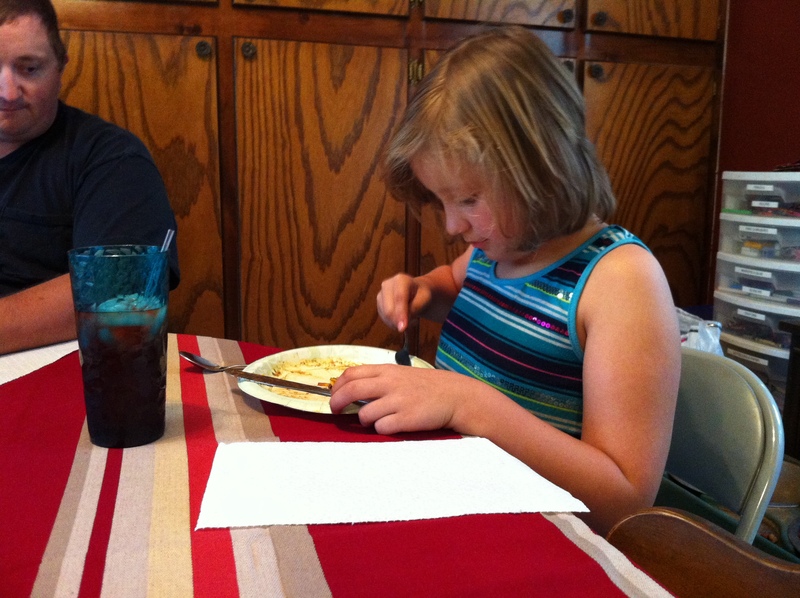 Anyway, the kids have both grown ten feet and we’ve moved 15 more times. Yes, I have a penchant for hyperbole. Seriously though, CW is a 7th grader in middle school, AW is in 4th grade and I’m teaching 7th grade Language Arts at a middle school in a suburb east of Oklahoma City. I love my job, I love my family, and I love Indian Tacos. Yes, that last one does seem to be a bit off-topic. 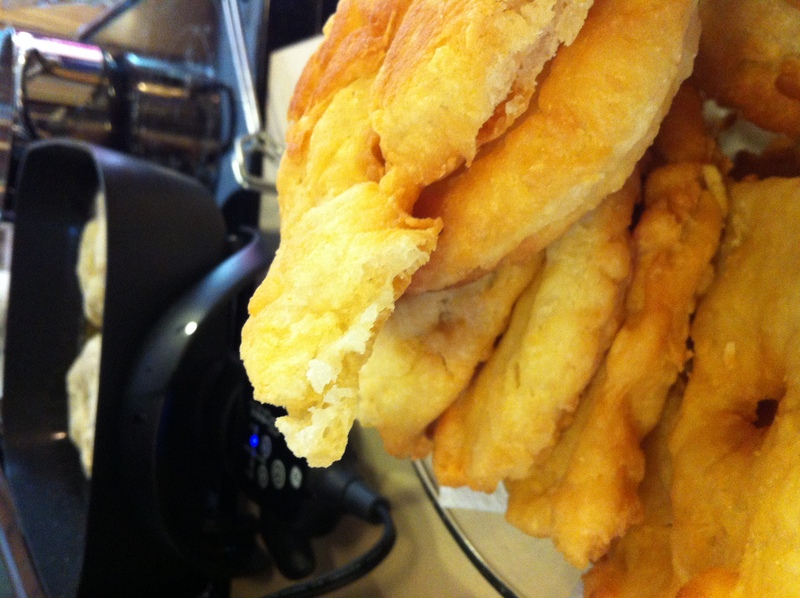 We are still in the throes of moving and the kitchen is not setup yet, so I’m going to drool over these shots of fry bread as I explain how I made them a few months ago. Or was it years…? A friend from church showed me how to make this and she was taught by her husband, who is a real Native American. Not just someone who lives in Oklahoma and has a distant relative who might have been an Indian and they tan really well in the summer as a result. Unlike, say, me. Her husband is a true card-carrying member of an Native American tribe here in Oklahoma. So I can say that this is an authentic Native American recipe made by true Native Americans. Yes, I am politically correct, even if it annoys you. That said, you’ll love the recipe. Pour about three inches of milk into a very large mixing bowl. Add about 1/2 an inch of vegetable oil on top of it. 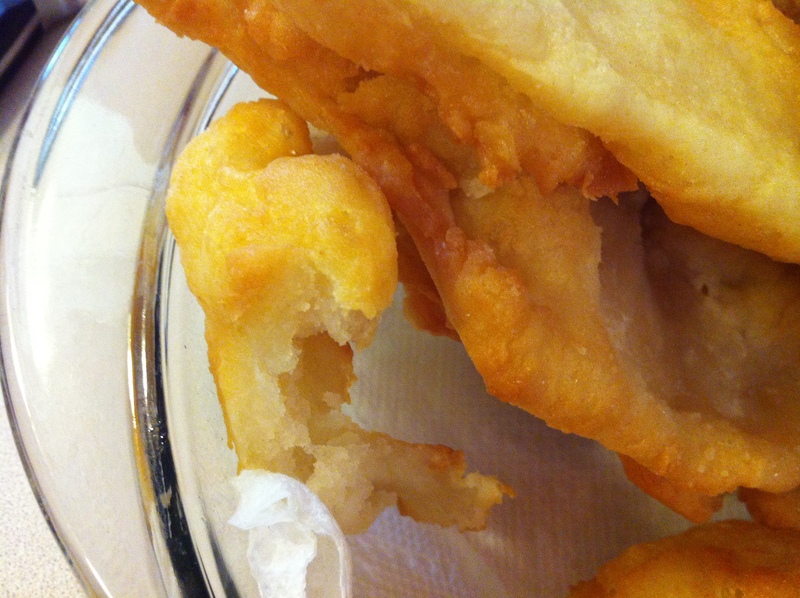 Dump in a bunch of self-rising flour and stir it together with a large fork. 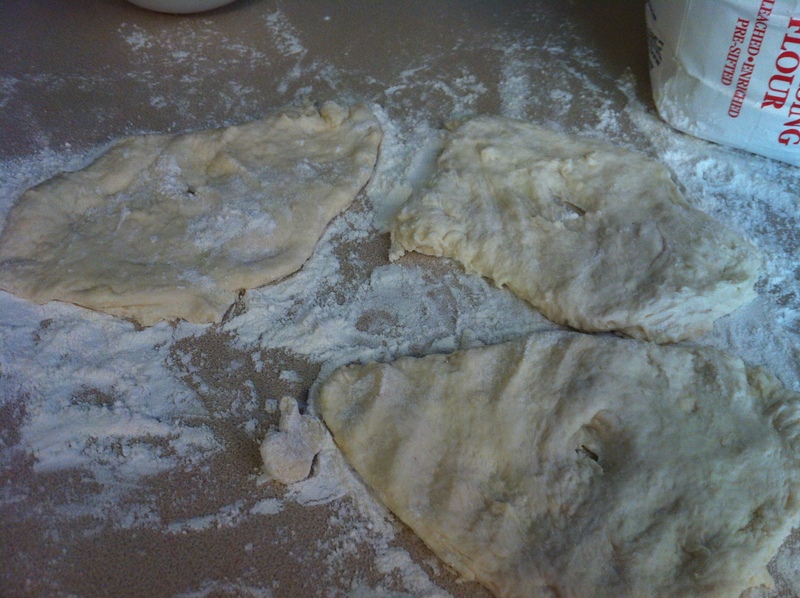 Add more flour as needed, until you have a glossy dough consistency. If the dough is thick enough, but not glossy, add a bit more oil. You can refrigerate or freeze the dough at this point, if needed. Here is what mine looked like after mixing. 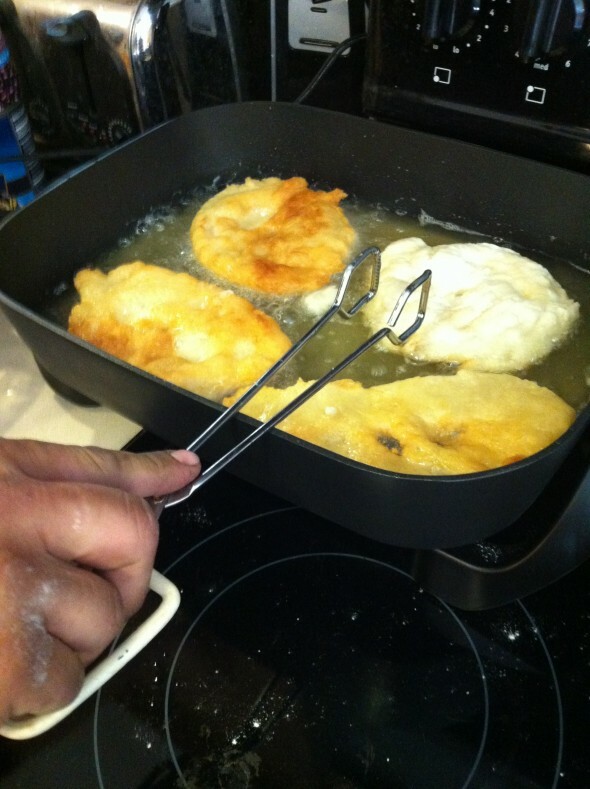 Now it’s time to pull out your electric skillet and fill it with about 1/2 inch of vegetable oil. Or you can use a Fry Daddy. You’ll know the oil is hot enough a couple drops of water fizzles on the surface, or a bit of dough begins to float and sizzles immediately. 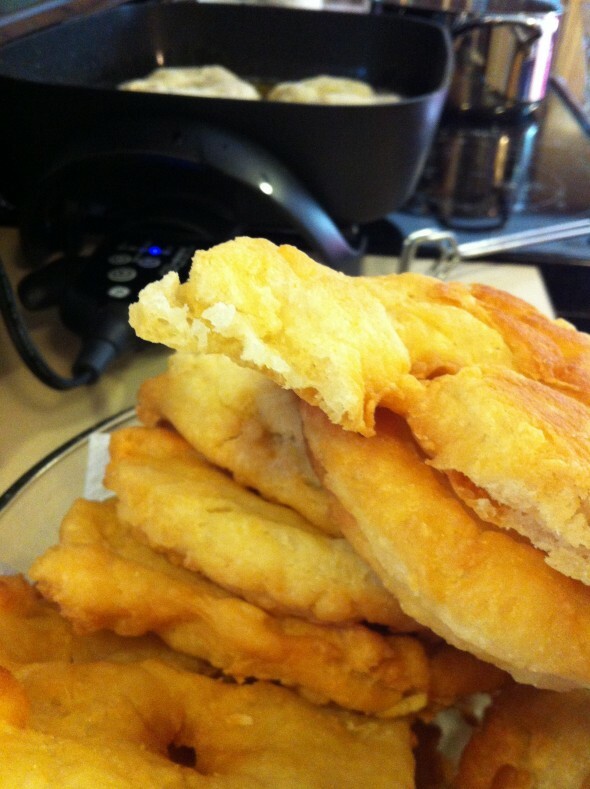 Now, you need to put dust a clean counter surface with flour so that you can my each fry bread. 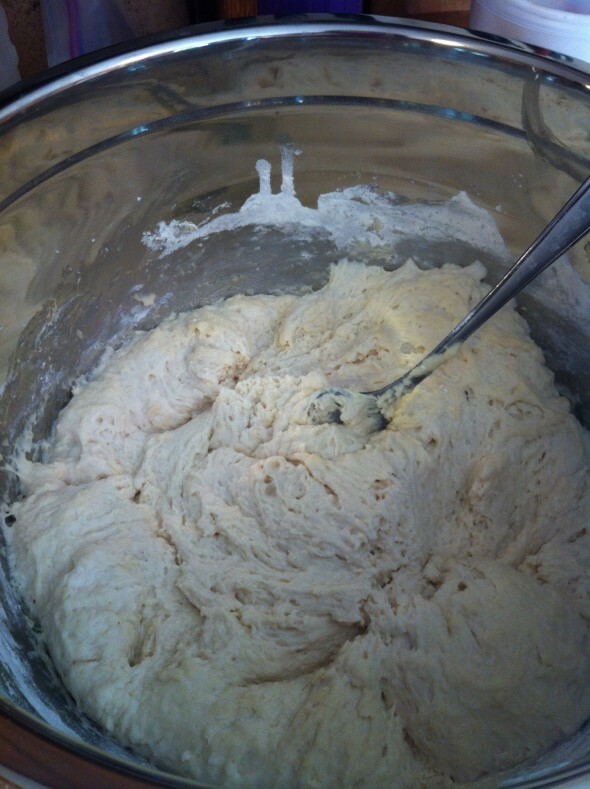 Grab a golf ball sized hunk of dough from your bowl and flatten it out. Make sure you poke a hole in the middle so that the dough doesn’t puff up with air during cooking. No, the bread does not have to be perfectly round. Or oval. Or anything else. Enjoy your inner mess-maker. 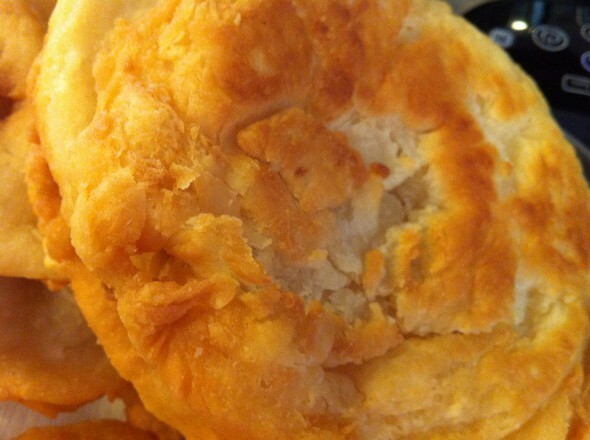 When you see that the sides are golden brown, flip them over and cook the other side. This looks so goooood. Why do I torture myself like this? 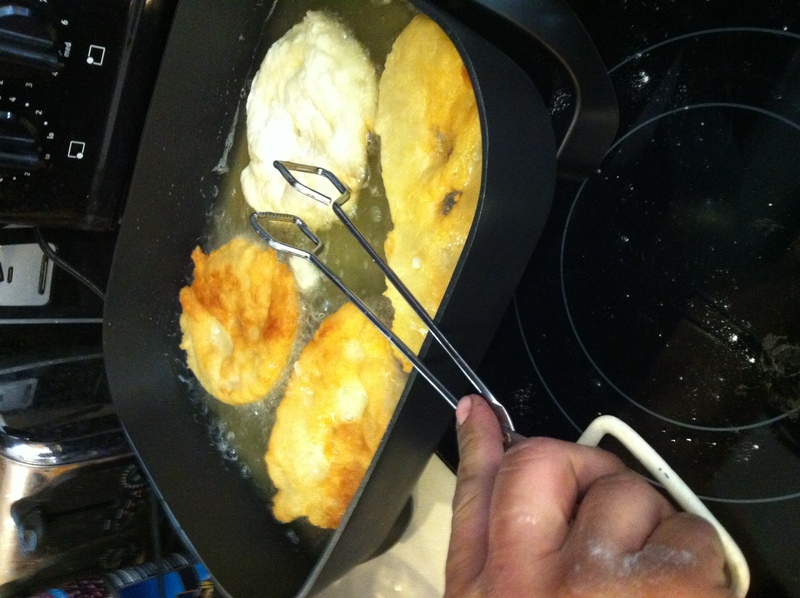 While you’re making your fry bread, you’ll need to have some hamburger meat browning. 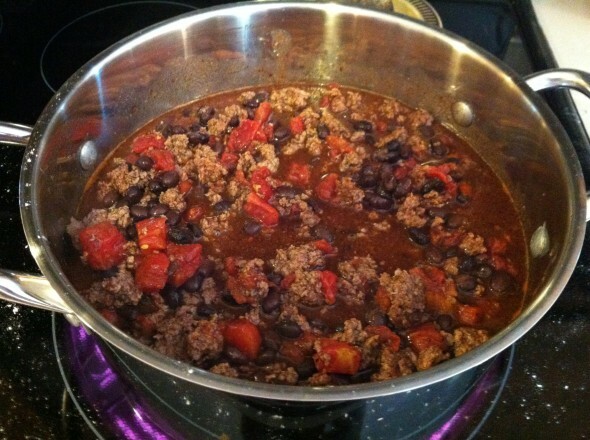 Once it’s ready, drain it and pour it into a pot and mix in some tomato juice, canned tomatoes and black beans. I like to season my chili with chili powder and some red pepper flakes. 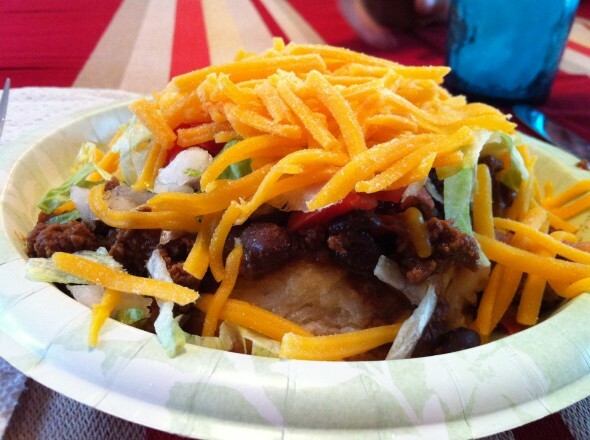 Once the chili is done, place your fry bread on a paper plate, pour on a spoonful of chili, or two and top with whatever condiments you choose. I am partial to onions, tomatoes, lettuce, picante sauce, sour cream and cheese. CW sure did like his taco. So did AW. 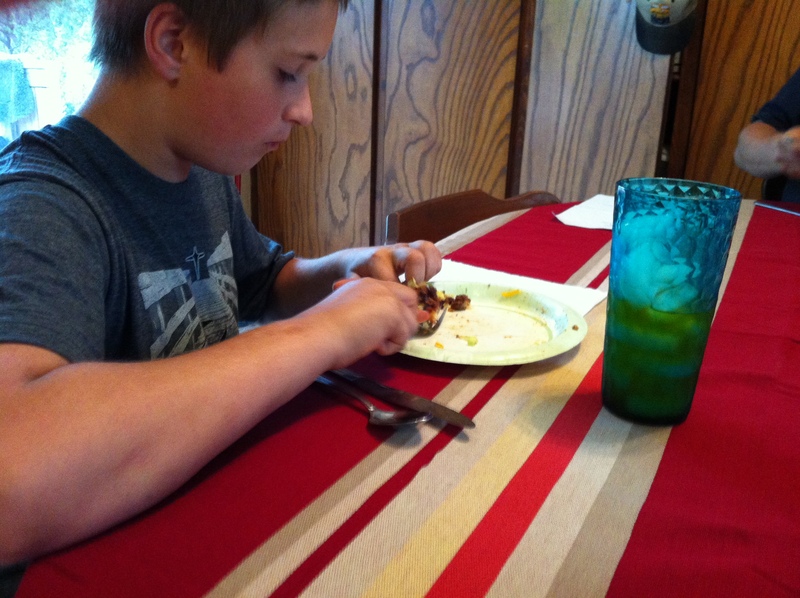 You can’t see it, but my husband’s plate is empty, too. 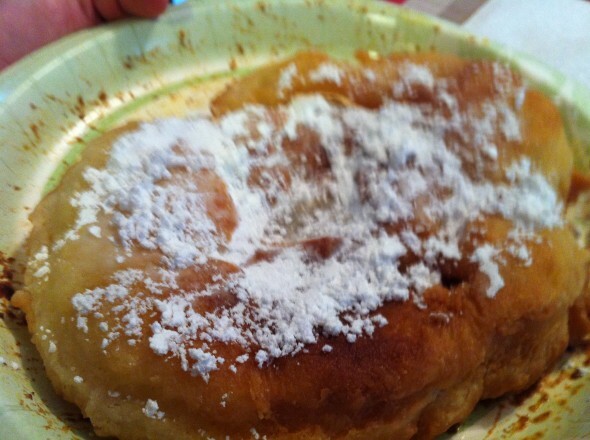 They’re even better with powdered sugar dusted on top. Personally, I think a dollop of Nutella would make this perfect! Any questions? Let me know. And enjoy!